Many users, especially webmasters, are very concerned if their websites constantly experience downtime. Website downtime can create significant commercial impact especially when these websites are commercially driven. It can reduce website revenue, create disturbance to visitors, and even likely lose many potential customers. There are plenty of professional website monitoring tools available to assist webmasters or website owners to monitor these websites closely and prompt them if the websites are down. These monitoring tools mostly cost money. If you are not a professional webmaster but for some reason want to monitor your own site or some other favorite sites from time to time, Google Chrome’s extension, Server Monitor, is quite a handy tool to aid you. Server Monitor is a useful website monitoring tool that allows users to poll one or more URLs at a user-defined interval to check the status and content of the page. Once it is installed to Chrome browser, users will notice a colored sphere icon added to the browser. The sphere is split into as many sections as users have sites. Each section is colored based on the response from the monitored URL. 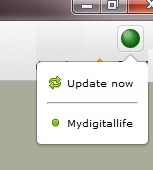 Green means the site is responding with the content that is expected. Yellow means the site is responding but the content is different than expected. Red means the site fails to respond. 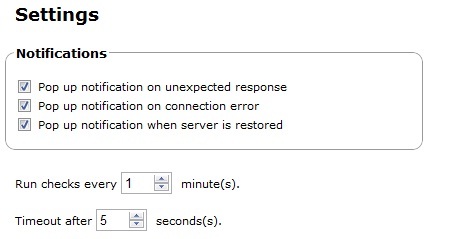 Server Monitor also allows users to configure and display pop-up notification when certain events such as unexpected responses, connection errors or server /website restoration occur.